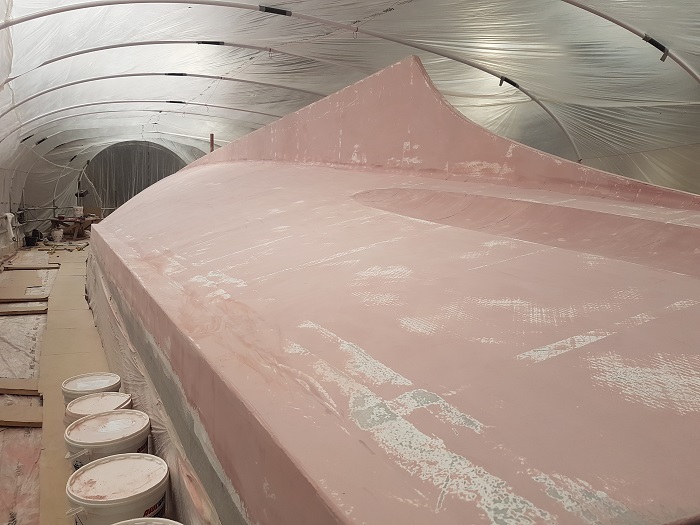 Work continues apace on current builds in the Spirit yard, with the 63’ Deckhouse, Spirit 52’ and P70 motor yacht each showcasing the range of customisation available with a Spirit Yachts’ design. With a stunning new coachroof in place, interior fit out continues on the Spirit 63’ Deckhouse. As part of the ongoing work, Mastervolt systems and mechanical equipment are being installed. The deck sub structure has been made and is currently being painted ready for fitting. Launch is planned for spring 2018, after which her owner plans to spend time cruising in the UK and then the Caribbean. On track for her launch this summer, the Spirit 52’ racing yacht has had her navigator’s cockpit fitted, interior benches added and a structural shelf is almost complete. Her deck is currently being fitted, and the engine is being installed. 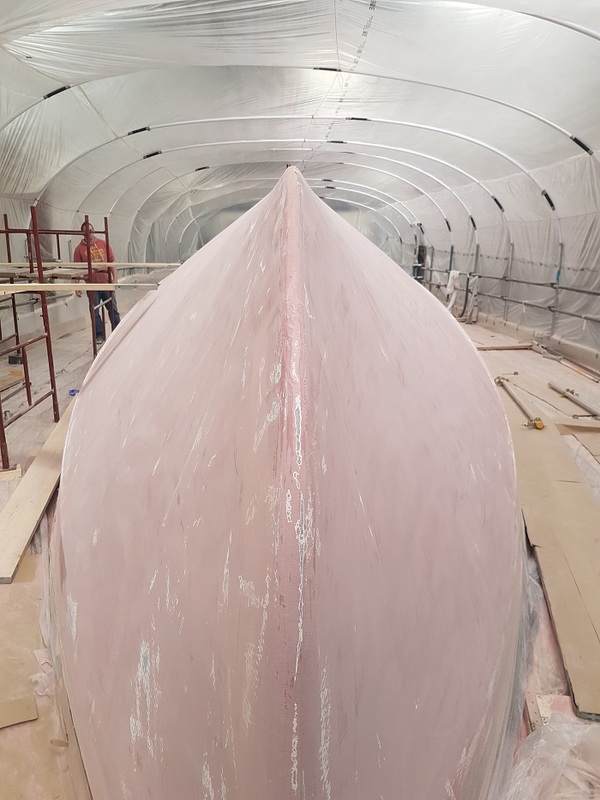 The impressive hull of the P70 has had the keel fitted and the underside will be soon be ready for filling and fairing. Once this phase is complete, the hull will be rolled over. Visit Spirit Yacht’s Youtube page for video footage from the P70 hull build. 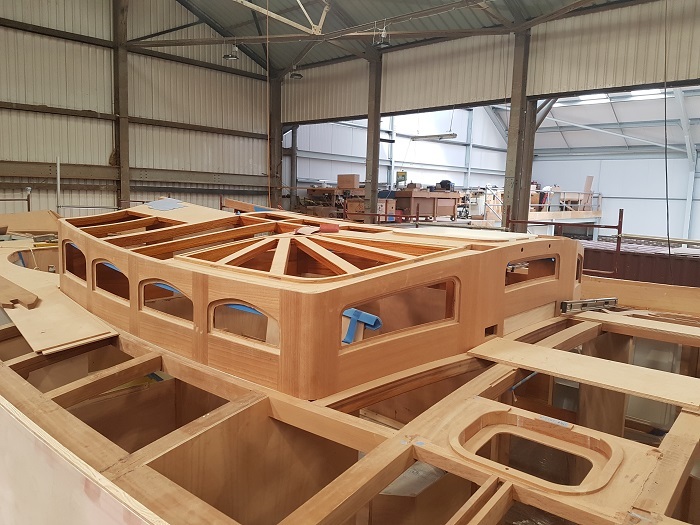 Yachts aside, the new boat building facility at Spirit, which officially opened at the end of last year, is having a new mezzanine fitted. Due to be completed by the end of April, the mezzanine will increase production space and improve efficiencies. For further details on any Spirit projects, or to arrange a visit to the yard, please contact [email protected] or phone +44 (0)1473 214 715.